Until very recently, Haymitch Abernathy was the only Hunger Games survivor from District 12. He has shouldered the burden of training tributes in the art of survival for years, turning to drink and cynicism to numb the pain of being a witness to so much anguish. 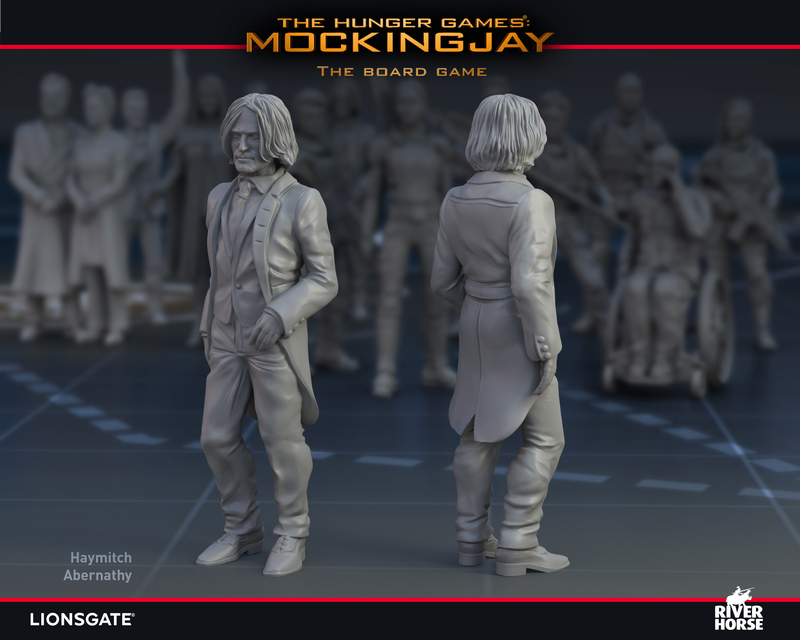 Haymitch is one of the available characters in The Hunger Games: Mockingjay – The Board Game and is a capable intelligence agent, able to run special missions as well as planning propaganda for the Resistance. The Hunger Games: Mockingjay – The Board Game is available on Kickstarter in just 1 hour – check out our preview page!